11/25/15 – Update v6.1 Steam Sale, Custom Infinite Bags & Lots of Improvements! Tabletop Simulator is 40% off as part of Steam’s Exploration Sale! You can get TTS, plus all our DLCs at a discounted rate. What’s this? A patch on a Wednesday?? Since it’s Thanksgiving for us silly Americans, we decided to get a small update out before the long weekend as a bonus to fix some previous issues and even added a new feature! You can now turn any custom model into an infinite bag. This differs from the loot bag as only one object can be placed at a time. This will not show what object is in the bag like the in-game infinite bag. This is a loading system that we initially added but had to revert due to various player issues. We’ve hopefully fixed the loading issues on Windows. Until we get more feedback, this is disabled by default. To enable fast loading mods, type /threading in chat. This is currently only available for our Windows and Linux users. This will not persist after opening and closing the game. If you had issues before, please try it out and give us feedback to help improve this. Added color wheel so you can change the color of the Text. Added trash can so you can easily delete individual 3D Text. Trash can added to side menu to delete all 3D Text. 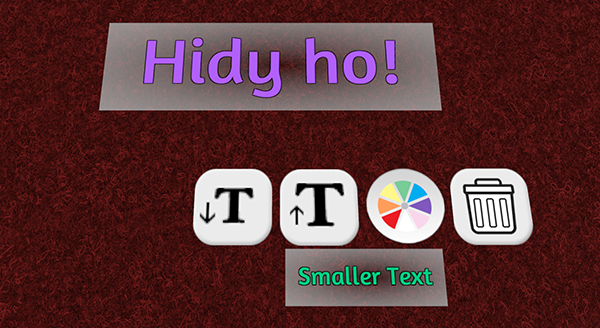 Added option to make Text bigger or smaller. Fixed issue where objects can’t be placed back into bags. Fixed issue with initial loading for bags with custom objects inside. Fixed issue with stacks & bags not going in infinite bags. Fixed issue where custom tokens went through the table after pulling from bags. Added Infinite Bag model to Chest Menu. Fixed selection bugs with infinite bags. Euphoria – Fixed messed up tiles. Euphoria – Replaced loot bags with infinite bags. Euphoria – Added additional snap points to make things more smooth. Added Superfight mat for Insider players on table. Easy snap points added by clicking on unlocked objects. This makes the snap point automatically go in the center of objects after placing them where you want. Password text field is now selected so you can type passwords in automatically. Updated Chest icons for Misc and Tools. Fixed orange colony marker being missing in Cosmic Incursion DLC. Fixed loading custom content on Linux, had to revert to the old loading method. Fixed loading card issues on the Mac version. Fixed being unable to delete saves, workshops, and saved objects. Fixed aspect ratio issue on Custom Tokens. Fixed issue where promoted players couldn’t load .cjc files. 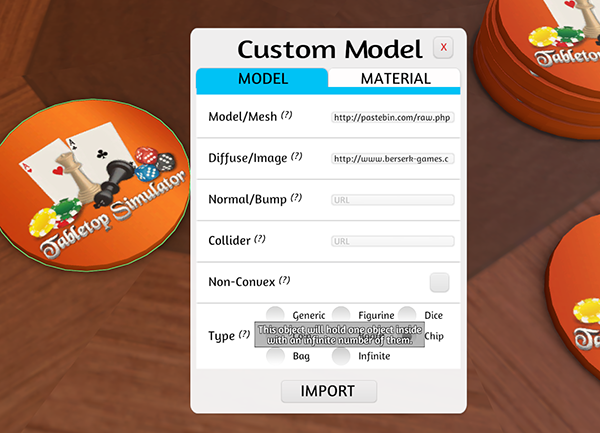 Fixed issue with Custom Hands not loading on a custom table with an image. Fixed issue with sticky objects grabbing object below. Fixed issue with clipping player names on tables. Fixed UI animation on pointer mode slideouts. Fixed UI Point Mode anchoring for clients.